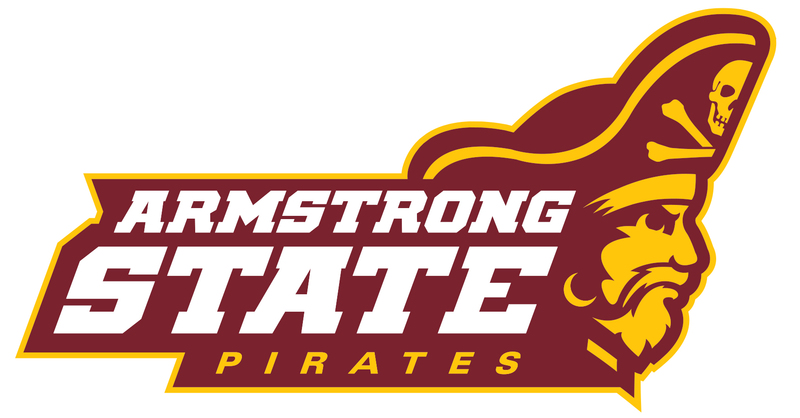 After a pummeling of the Paine College Lions Feb 17, the Pirates traveled to Florence, South Carolina this past weekend to take on the Francis Marion University Patriots in their first road series of the season. The Pirates endured a pair of losses that began with a one run loss on Saturday, Feb 21. The Pirates jumped out to a 3-0 lead in the top of the third after they recorded RBIs on three straight at bats. Senior Tyler Avera scored junior Will Austin on a single. Junior Kendrick Thompson tripled and brought home Avera. Senior RJ Dennard finished off the scoring run with a double RBI. The Patriots rallied back in the bottom of the fifth inning, plating four runs and gaining a lead they never relinquished. Casey Clauss headed off the rally with a RBI double. The Pirates fell to the Patriots 5-4 for their first Peach Belt Conference loss of the season. Corey Kafka took the loss, his first of the season, while throwing five and a third innings with five hits and four strikeouts. The doubleheader on Sunday was cut down to a single game as the second was cut short and canceled due to rain. The Patriots rallied in the bottom of the seventh to sneak away with a 5-3 victory. Freshman Chandler Corley put his team on the board first with a huge two RBI double in the top of the fifth with two outs staring him in the face. The Patriots answered the two runs with one of their own after a sacrifice RBI on a bunt by Clauss. The Pirates extended their lead to 3-1 after Dennard reached first on a throwing error that allowed Avera to score in the top of the sixth inning. The Patriots then began another big rally in the bottom of the next inning that was headed by three consecutive RBIs and a throwing error that put them on top. The four runs gave them a 5-3 lead that would be the final score. The third game was called in the fourth inning due to rain and, at this time, will not be made up. Tyler Graham took his first loss of the season with three hits and four runs in two-thirds innings of work. While many Pirates realized their mistakes, they know that they must put the losses behind them get ready for the next games. After the losses, the Pirates stand at 9-3 overall with a 3-2 PBC record. They hosted Claflin Feb. 24 and travel to Americus March 28 to play the Purple Hurricanes.